Choosing your child’s first bike can be a really exciting time, a bit of a milestone moment really. No more tricycles, no more ride-ones, this is real big kid stuff. 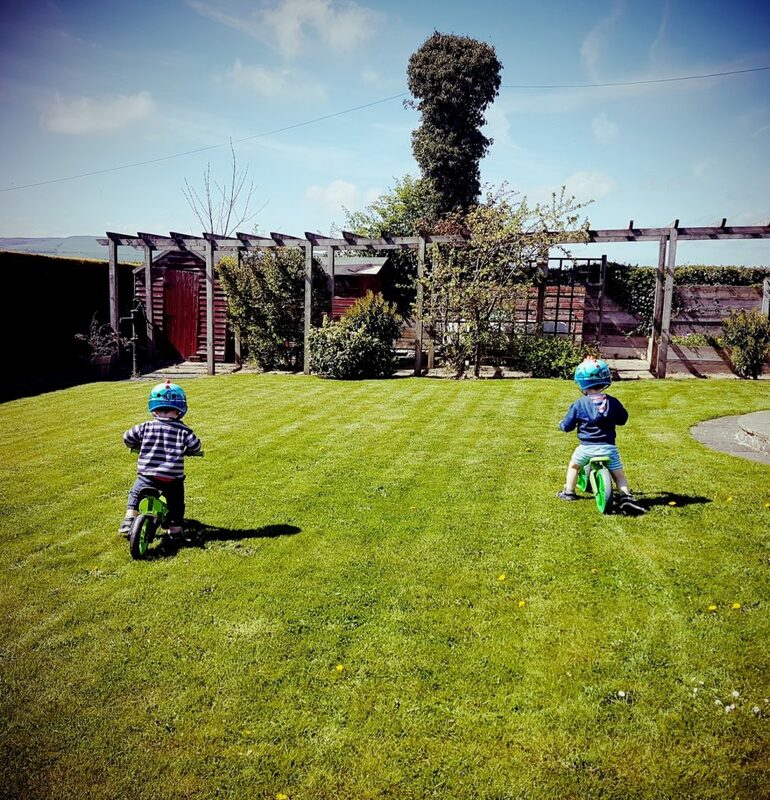 Your child’s first bike is one of the toys they’ll remember well into adulthood; so many memories will be made as they explore the outdoors on their trusty first bike, but as a parent it’s a big decision and one you really want to get right. What sort of bike did you have as a child? I remember my first bike well, it was gold and when my dad fitted it with stabilisers he wasn’t happy with it, as he felt that it made it harder for me. It wobbled, really badly, despite the stabilisers being fitted correctly and fiddled with no end. In the end my dad decided it was better if he just held the back of the seat until I got the hang of it. Any parent who has done the same will know what a complete back-breaker that was, so he just decided to let go one day. Basically after a couple of crashes, I got the hang of it. I have to say that I don’t feel that stabilisers have improved much since I was a child. They still cause a massive wobble and don’t seem to help much. There is an alternative though. Get ready for balance bikes. These are already a massive success in Europe, and balance bikes are set to become a worldwide trend. Tests in Germany and other countries clearly show the benefits of not using balancing aids such as training wheels and stabilisers on children’s bikes. The use of balancing aids such as these have in fact been shown to slow the development of motor skills such as balance. Your number one concern is likely to be your child’s safety; their first bike should be a source of fun and not a dangerous toy which might cause them harm. On a balance bike, children can quickly put their feet down to stop themselves from falling or crashing, and this also teaches them how to avoid danger. This may sound like we’re stating the obvious but the key skill needed for riding a bike is balance, so it goes without saying that children should master this first. Traditional stabilisers encourage children to pedal before they can balance which in turn delays them from learning. Balance bikes, on the other hand, help children concentrate and become a master of balance first – winner! Nothing beats the feeling of seeing your child conquer their bike and confidently zoom off on their own – even if you take a sharp intake of breath at first. With balance bikes, there’s no need to coach and explain to your child what to do as the bike encourages them to use their own instinct and skill. Say goodbye to scraped knees, tears and that back-breaking seat-holding. With their newfound confidence, children will be raring to go and eager to head outdoors on their favourite new bike. What’s great about balance bikes is that they can handle rougher terrain than stabilisers can, and they are also much easier to manoeuvre than tricycles. Once your child has mastered their balance bike, they can then progress straight away to a standard two-wheeled pedal bike. Children who start on a balance bike instead of stabilisers tend to find pedal bikes a walk in the park – so no more wobbly stabilisers! 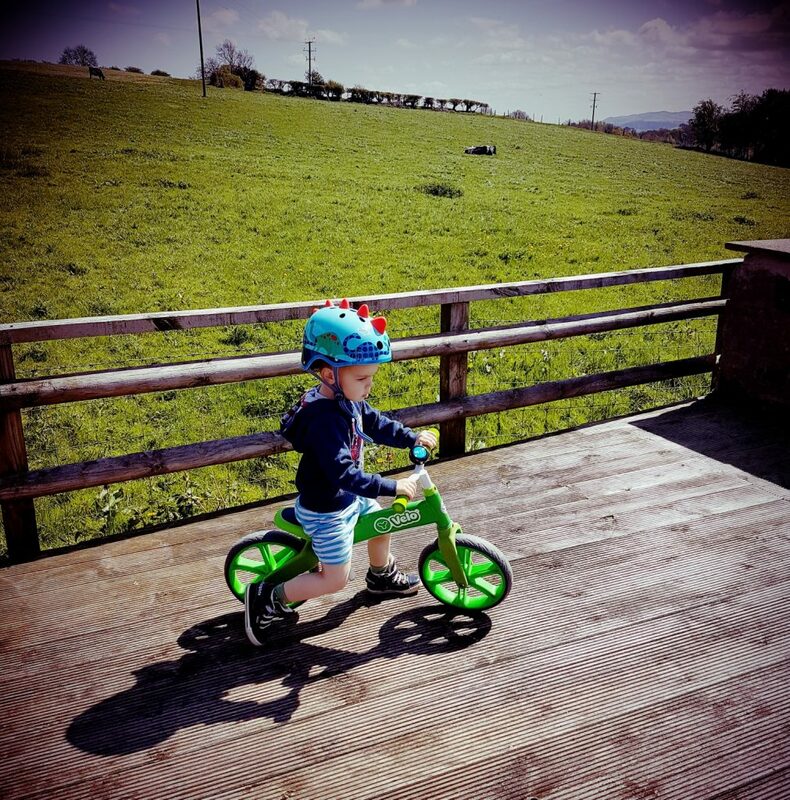 Choosing a balance bike may seem daunting at first as they go against the traditional stabiliser method but overall they keep your children safer and instil them with the skills they need to ride like a pro. Yvolution have a great range of balance bikes for children and they are super easy to construct. We love the Yvolution Y Velo Balance Bike, which helps children to learn to balance all on their own. This is a brilliant first bike for children and with the warmer weather seemingly upon us, it is a great time to get outside and work on their skills. The quality of these bikes is superb and you could absolutely pass them down to younger siblings after your child has outgrown the bike. Our boys are really gaining in confidence from using balance bikes and don’t seem worried if they fall off. They simply get up and try, try again. The Y Velo Balance Bike is part of a wider range of Scooters and bikes from Yvolution, there are all sorts of superb quality items on the website, so if a balance bike is not what you are looking for at the moment, there are other things that might be worth considering. This balance bike is priced at £49.99 which I have to say is excellent value considering the quality and durability of the bike. I’ve seen all sorts of bikes, scooters and ride-ons that are no where near this quality sold for twice the price, so you really do get value for money with these. Have your children tried balance bikes? How did they get on? Whatever you decide on, lets encourage our children to be active and get outside as much as possible.